For most homeowners throughout New Hampshire and Massachusetts, having a deck or patio is a must. New Englander's generally love the outdoors, and with long winters sometimes stretching 4-6 months, we like to make the most of our warmer, sunny months by lounging outside, ideally on our decks, patios and lawns. However, trends are beginning to show that homeowners are looking for solutions to minimize the amount of sun their decks receive. While it's great to feel the sunshine on your face, too much sun can make any space undesirable as it becomes too hot. 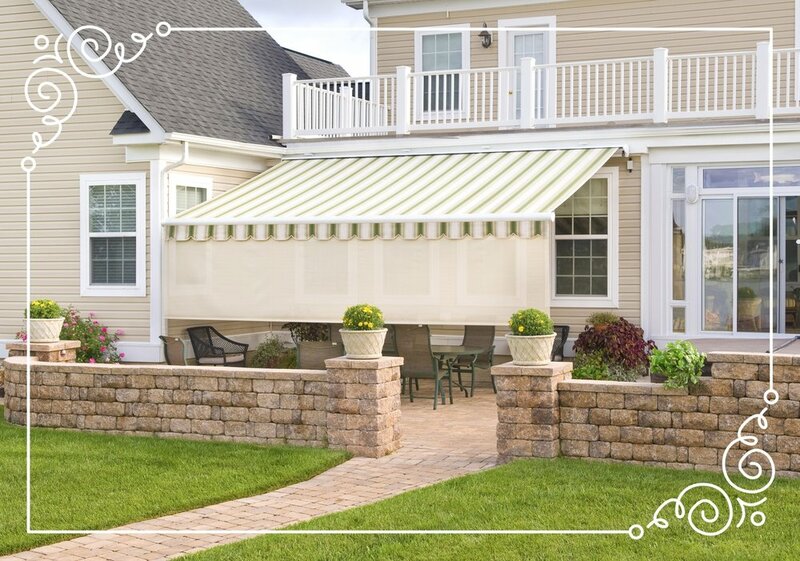 Fortunately for homeowners, shade products in today's market are stylish and convenient, making it easier than ever to find the canopy or awning that matches your home and lifestyle. No longer are we restricted to flimsy awnings or temporary pop-up tents which last only a season or two, or easily blow away in the wind. Under pergola canopies are a great way to add shade and style to a deck or patio of any size. With various frame and canopy colors, and several frame designs to choose from, it's easy to match your lifestyle. Other added options range from lighting features to motorized retractable canopies. Check out the photo gallery for more ideas. Tension shades are ideal for decks or patios which extend beyond 12' to 14' from the home. The posts add a unique look to any home, and the frame can be used for hanging plants or decorations. Choose from 80+ fabric designs, and customize the layout with horizontal shades to complete the look. Learn more about tensions shades here. While retractable awnings have been around for years, added options and designs are bringing them back into fashion. Drop shades, or vario valance, offer further protection from blinding sunlight, and lighting bars can be added for additional brightness at night. For safety, wind sensors can help close awnings when left open. Check out the awning photo gallery here.